Child Gohan Wig By: Partytime Costume & Lingerie (Yiwu) Factory for the 2015 Costume season. Normally, going Super Saiyan requires a lot of training, but we think that all that extra power comes from the yellow hair. 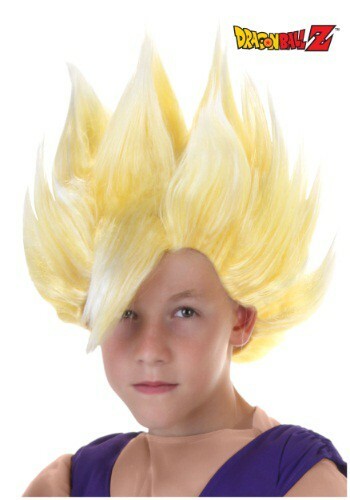 So, instead of sending your child to the Hyperbolic Time Chamber for some 10 times gravity training, you can just slip this Child Gohan Wig on your kid to see if that gives him the extra power boost he needs to fight bad guys.